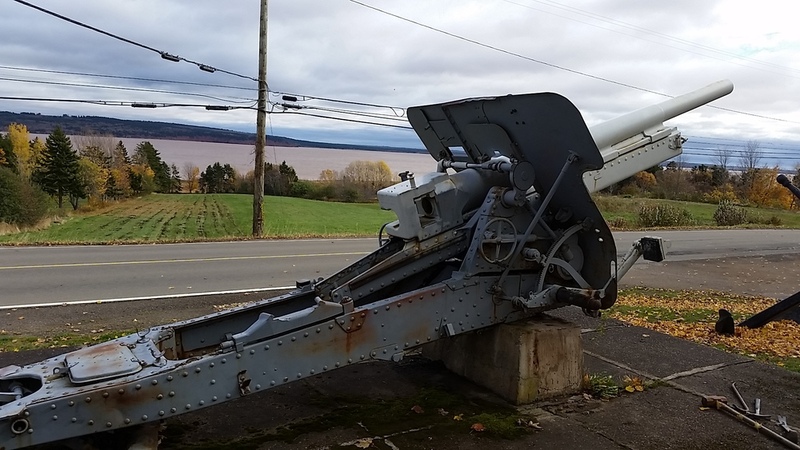 August 8, 2015 - Hopewell Cape, NB - Metal stabilized on the large 10.5 cm K14 First World War German Cannon. 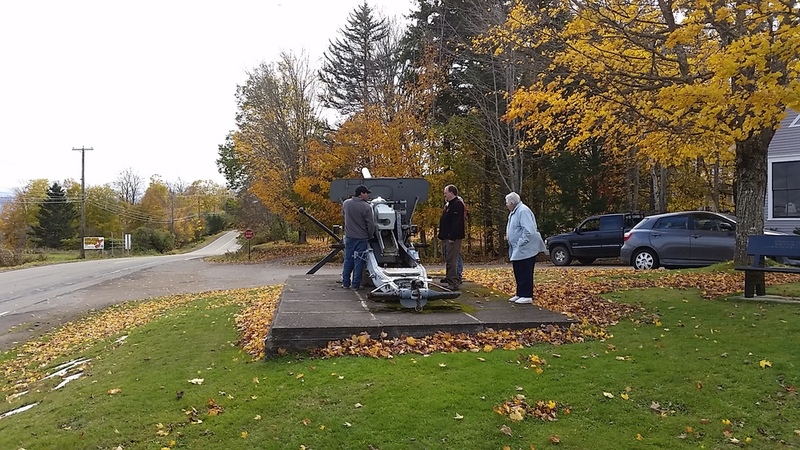 Todd Steeves of TP Downey & Sons (Hillsborough) was able to come to the museum and make the necessary repairs without having to move the cannon. It is fantastic that we were able to find someone local with the skills and equipment necessary to do the job right so that it lasts another 100 years. Todd replaced the center brace and carriage bolts, the 2 brackets above center brace, and fixed the holes on side of cannon facing the road. JUNE 22, 2015 - Our Commemoration of the 100th Anniversary of the Departure of the 26th Battalion on June 13, 1915 was a roaring success with $5258.20 being raised. This puts the Victory Cannon Campaign at OVER $10000.00 and 2/3 our way to the goal of $15000.00! And to top it all off, the first set of rebuilt wheels arrived just in time for the Commemoration Dinner! Talk about excitement when they rolled in the door! January 7, 2015 - After a very Merry Christmas the campaign now sits at $4649.70. Almost 1/3 of the $15000.00 needed. October 27, 2014 - The Wheels have come off and are being taken to Nova Scotia tomorrow. PLEASE DONATE TO THE VICTORY CANNON CAMPAIGN. 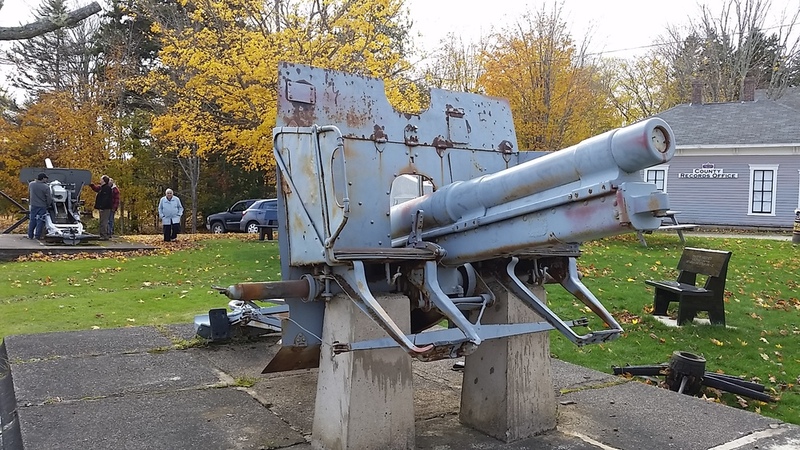 October 8, 2014 - The Victory Cannon Campaign now sits over $3000.00! (barely) with a total raised to date of $3002.00. Things are rolling along! Thanks to all who donated and if you haven't PLEASE DO! JUNE 20th UPDATE Campaign sits at $2170.00 of $15000.00 GOAL -- OVER 10%!